1. Steal ideas from everywhere. By stealing he means influence & inspiration. Look around carefully and get inspired. Do not waste time in creating something totally new. Applied to presentations: Watch presentations on TED and slideshare. Get inspired. Use tricks and tips which you learn from these presentation into your own presentation. This will improve your own work. 2. Choose a hero in your field of study. Read about your hero and his/her life. Go through all her work and see how you can add to that body of work. Practice what your hero has done. If you are a singer, sing the songs of your favorite singer (your hero). You don't need to meet the hero, hence you have the freedom to choose your hero from across the world. Applied to presentations: Choose a hero like Steve Jobs or Garr Reynolds or anyone else whose presentations inspires you. Watch all of their videos and read books about them. Get into their heads and try to see the world as they see them. This will get your creative cells working. 3. Educate yourself. Read books which are relevant. Google stuff. You can only improve and become more creative in your field if you read more and more. Read what others are saying in your field. 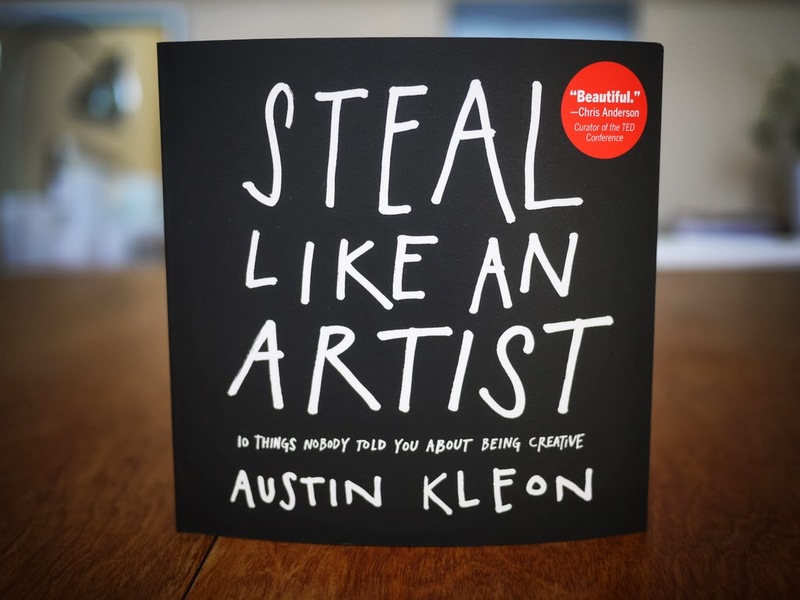 Applied to presentations: Read the best books on presentations. Here is a list I have compiled on Goodreads. Only when you read more, can you become better. 4. Maintain a notebook of ideas. Every time you get a idea, note it down in a small book. Carry this notebook all the time with you. Overtime, this will become a good source of ideas for you. Applied to presentations: If you attend a presentation and notice something good, note it. If the presenter made a mistake, note that as well. Note any ideas which comes to your mind which you can try in your next presentation. It can be about slide design or delivery or anything else. 5. Use your hands. 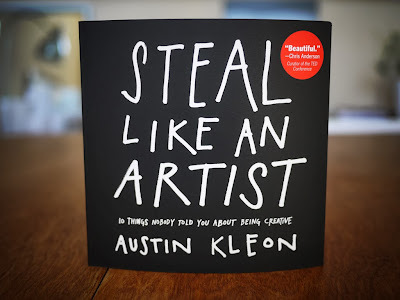 Austin Kleon stresses that creative ideas do not come sitting on your computer. Get up. Use your entire body. This is what he calls 'going analog'. When you need creativity, take a chart paper or use a whiteboard. Involve your body and use your hands to write. Use computer for editing and finalization later on. Applied to presentations: Start working on your presentation on paper. Do not touch the computer till your content is ready. Only when you are done, start working on the slides. 6. Boredom fuels creative thoughts. This is an interesting observation by the author. He visits the barber and waits in long queues. He irons his shirt as it is a boring task. Being along without any work and boredom sparks creativity. It gives your mind some rest and comes up with interesting stuff. 7. Creativity increases under constraints. This is counter-intuitive but I have come across this statement elsewhere as well. If you are working on something creative and give yourself all the time in the world, nothing great will happen. Put strict deadlines with respect to time and also work under resource constraints. I have worked with creative people in advertising and they work very well even when given tough deadlines. The book is just 160 pages long and can be read within 45 minutes or less.